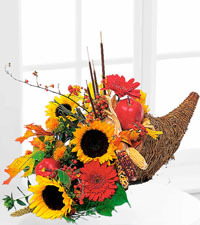 Nature's Wonders Florist prides itself on having a large selection of fall flower arrangements that can be hand-delivered for a wide variety of events. 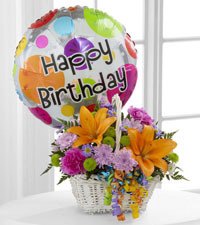 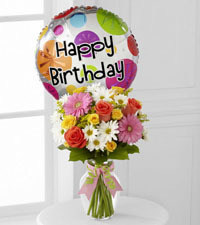 Whether you are celebrating a birthday, recognizing an anniversary or sending flowers for another occasion, we make it easy for you to give great gifts. 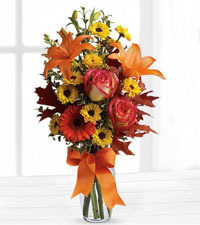 Our designers bring out the beauty of fall in their work with bouquets like the Autumn Treasures Bouquet. 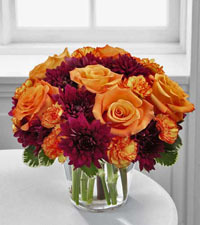 This arrangement is a wonderful fall design that contains brilliant orange roses along with orange mini carnations and accented with burgundy mums. 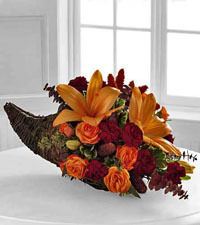 Suitable for the home or office, this arrangement is a wonderful example of what is available for fall flower delivery in Vancouver. 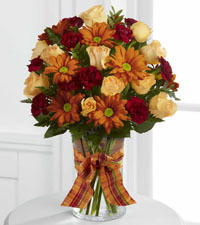 Another great choice would be the appropriately named Golden Autumn Bouquet, a classic fall flower arrangement made with peach spray roses, burgundy miniature carnations and yellow daisies all arranged in a clear vase and accented with a fall toned ribbon. 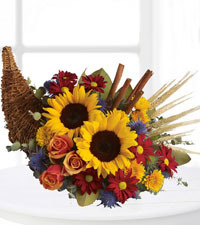 With Thanksgiving just around the corner, we have gathered together a number of great Autumn bouquets designed to celebrate this wonderful holiday with loved ones, even if we can't be there to share a meal in person. 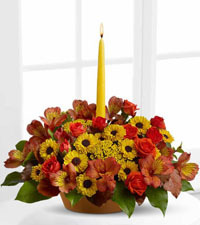 Everyone at Nature's Wonders Florist understands the importance of sending something that the whole family can enjoy at this time of year. 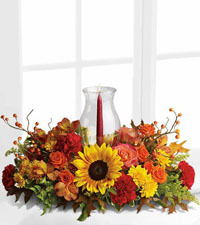 The online catalogue available on this website, VancouverFlorist.com, includes images of arrangements that are perfect for Thanksgiving. 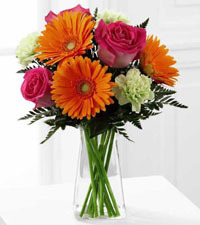 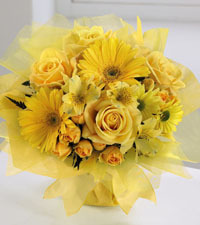 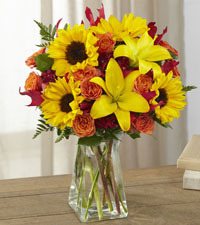 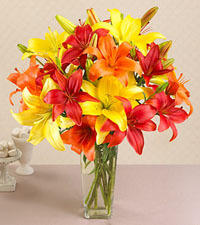 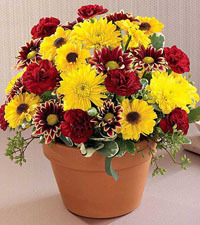 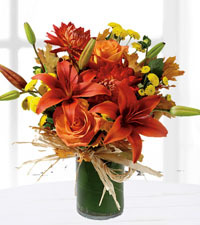 There are many fantastic floral bouquets to choose from that all include warm fall colours like red, orange and yellow. 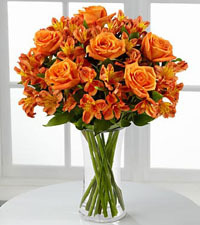 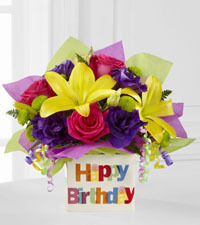 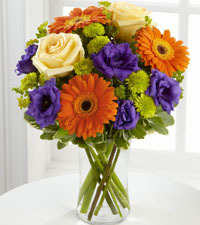 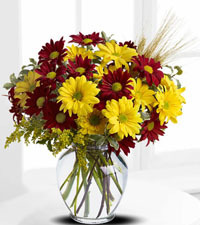 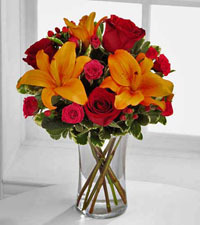 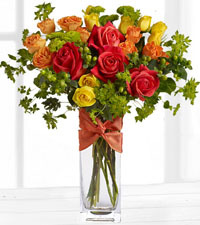 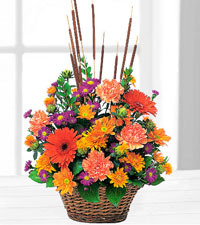 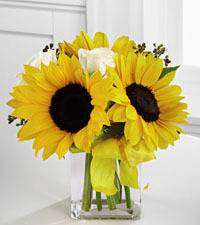 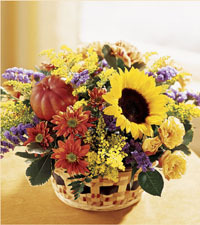 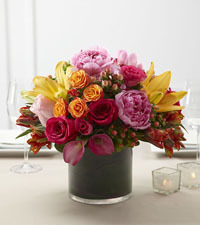 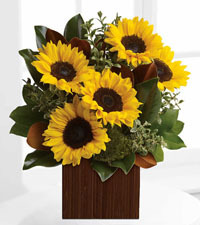 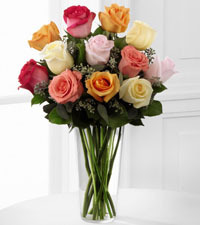 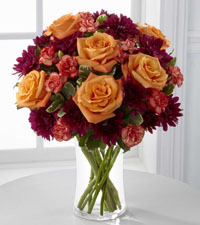 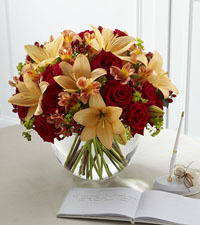 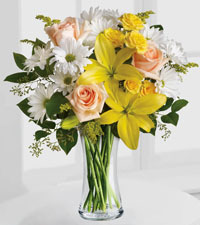 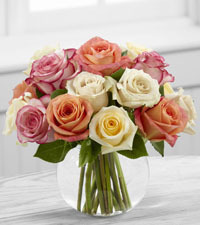 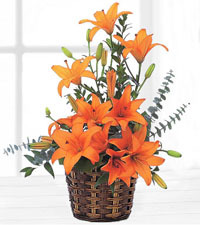 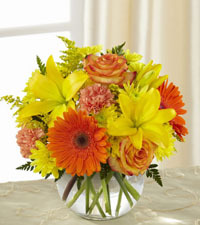 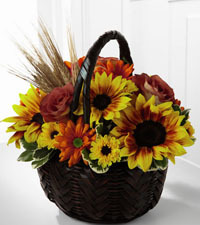 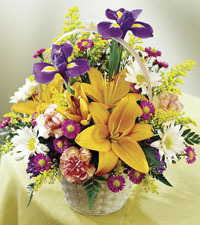 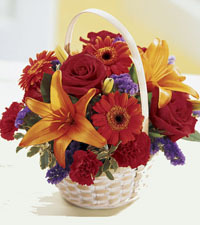 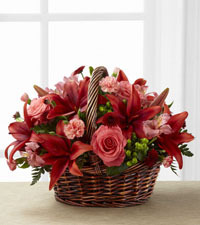 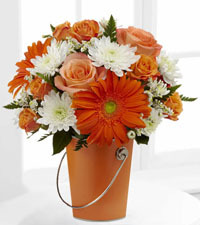 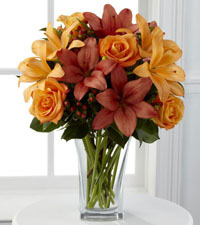 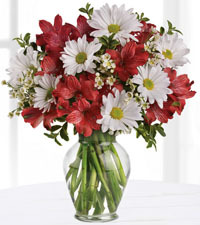 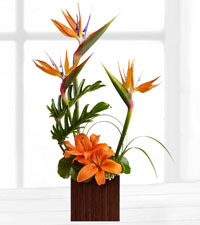 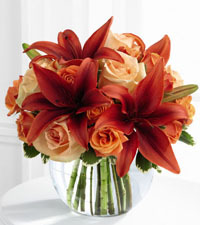 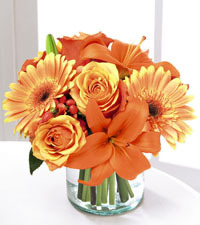 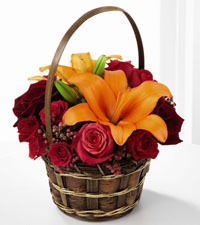 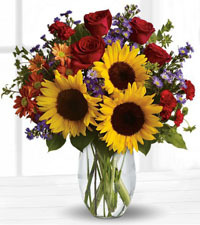 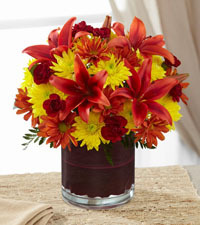 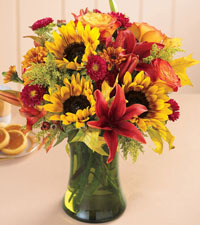 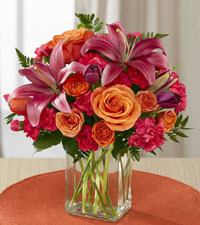 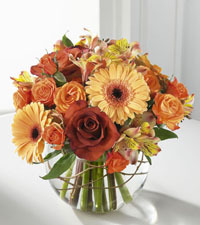 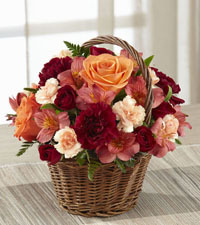 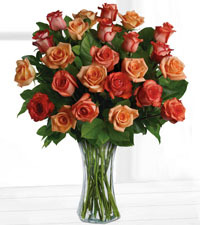 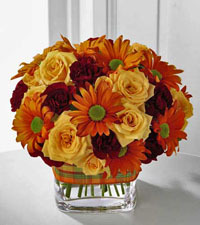 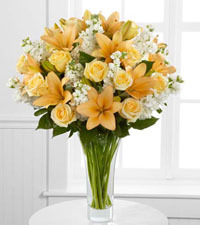 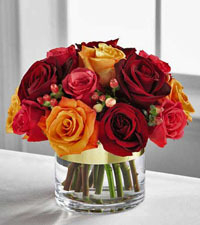 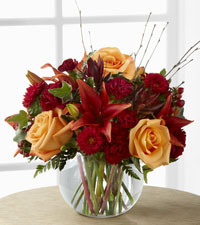 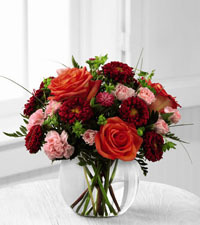 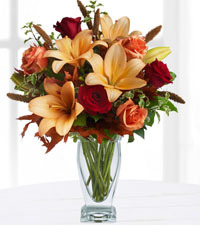 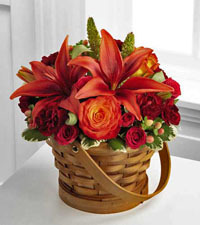 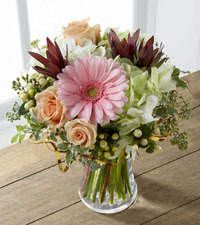 We suggest sending one of our top selling fall flower arrangements, the Natural Elegance Bouquet. 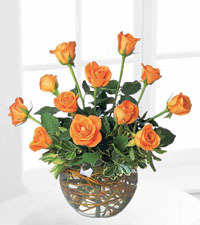 This beautiful design arrives neatly arranged in a classy bubble bowl and includes a fresh selection of orange flowers like peach alstroemeria, golden mini gerberas and orange spray roses. 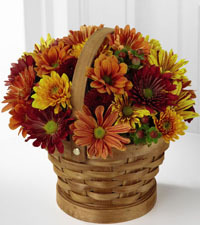 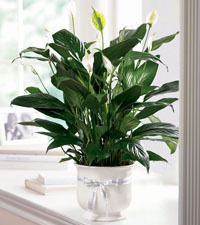 Check it out and see why this is one of the most popular floral designs we sell in the Autumn season. 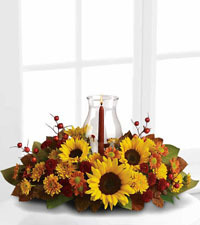 On a similar note, Thanksgiving is also a time when we deliver a number of fall centerpieces, designed to enhance any family's gathering. 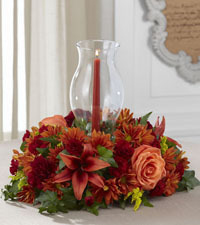 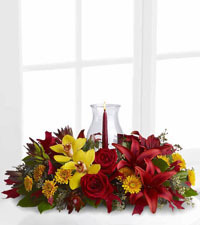 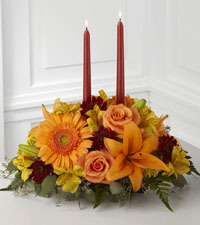 Order the Bright Autumn Centrepiece which has candles that rise from a display of beautifully rich fall flowers. 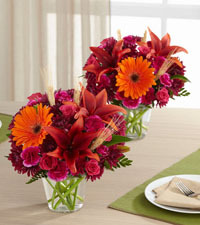 Orange roses, gerbera daisies and Asiatic lilies are wonderfully accented by yellow alstroemeria and burgundy mums making for a most appropriate display for any Thanksgiving feast. 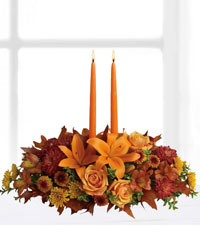 Along these same lines, we also have the Autumn Lights Centrepiece available for delivery in Vancouver this holiday. 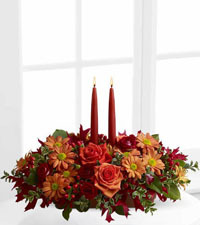 This lovely two candle table centre is simply arranged with orange roses, red spray roses, peach chrysanthemums and oak leaves. 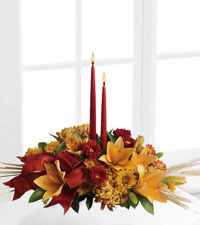 This is a truly appropriate Thanksgiving gift for a hostess or a wonderful enhancement to your own celebration. 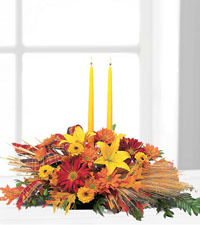 In addition to Thanksgiving, there are still some other holidays we see recognized in the fall such as Grandparents' Day and Bosses' Week. 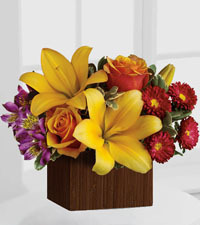 For each of these events, VancouverFlorist.com boasts a number of appropriate bouquets that can be hand-delivered for the occasion. 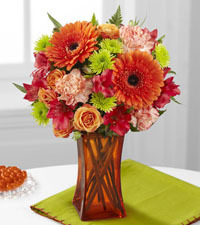 We view Grandparents' Day as a wonderful opportunity to thank your extended family for the important role they have played in your life. 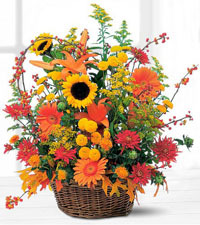 Order online and send the Natural Wonders Basket, a bright and colourful basket that is well designed and easy to maintain. 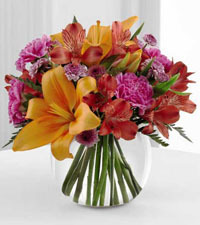 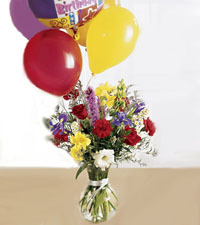 It is one of the most popular bouquets we send in Vancouver. 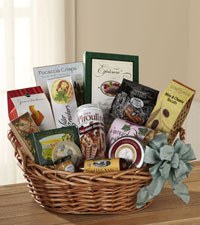 Another suitable choice would be our Fruit & Chocolate Basket that's filled with tasty array of seasonal fruits and rich chocolate squares. 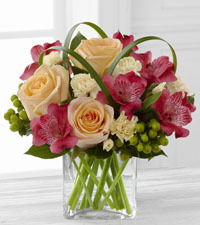 Regardless of what you choose to send, rest assured that we offer a 100% guarantee on all our deliveries and that our aim to make this Grandparent's Day one to remember. 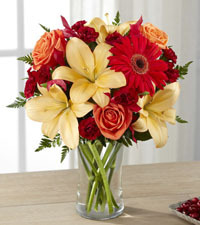 Lastly, if you are eager to step it up this year during Bosses' Week, you can easily show your employers how much you appreciate your work environment with a delivery made by Nature's Wonders Florist. 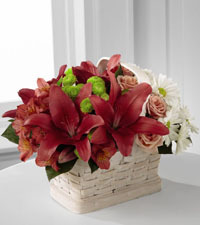 Our wide selection of gifts that are appropriate for the workplace include some popular bouquets that are sure to get you in line for that next big promotion. 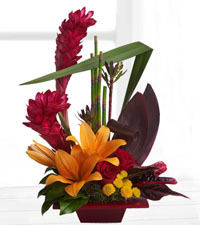 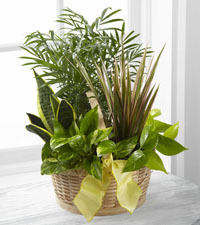 Send one of the arrangements from our Bamboo Collection that includes stylish tropical flowers arranged in contemporary containers. 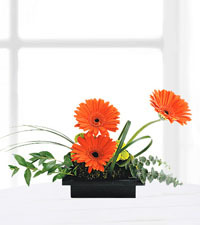 These arrangements are have more of a corporate feel and are created in beautiful bright colours designed to complement any office or home. 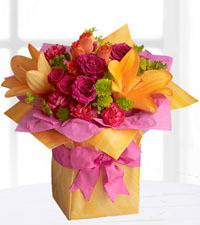 Also available for same day delivery in Vancouver, these floral bouquets make for a perfect last minute Bosses' Week gift. 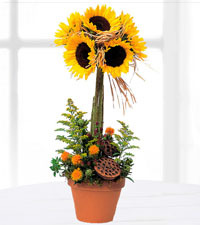 Celebrating this fall, the talented florists at our Vancouver flower shop can help. 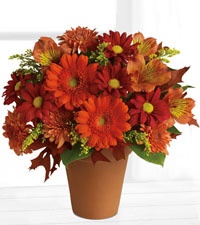 Nature's Wonders Florist boasts a large selection of beautiful fall toned flower arrangements make gift-giving easy this season. 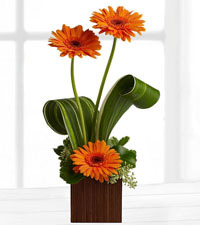 Order online or place you order over the phone with one of our experienced design team. 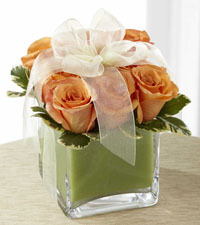 We look forward to creating a something special for you and delivering it in Vancouver today.